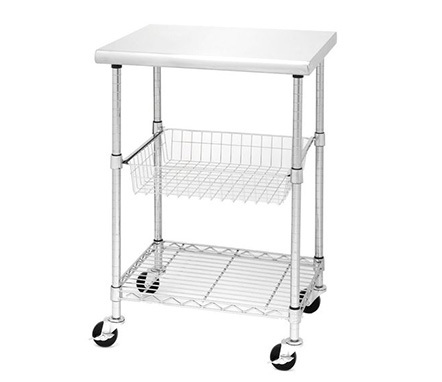 Utility Carts Wire 3SP Uthree is constructed from industrial-strength chrome plated steel and accented by a sturdy easy to clean 1.5 thick stainless steel top. 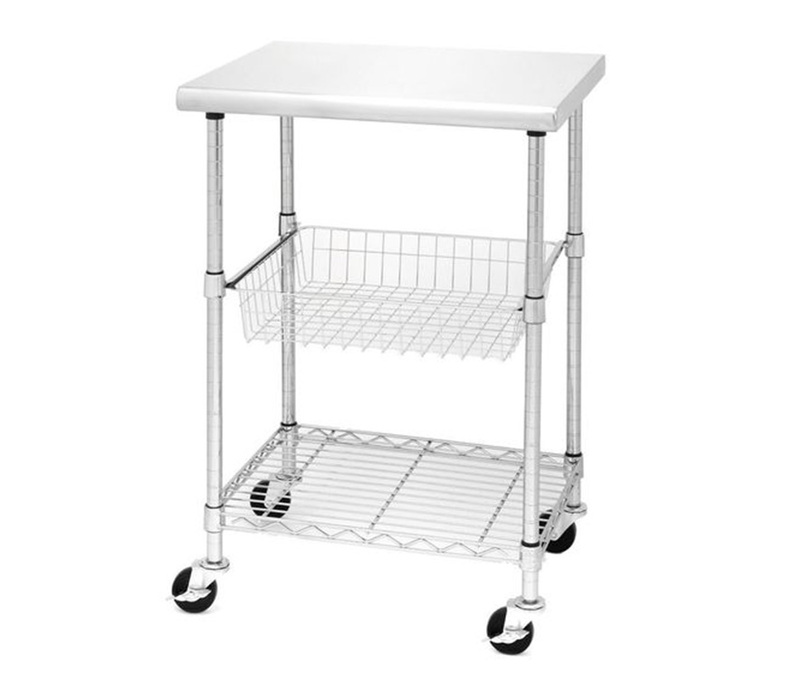 This durable and conveniently mobile cart is the obvious solution to your extra workspace needs. The professional grade utility cart is NSF certified for commercial use and has a generous weight capacity. The ventilated steel wire shelf and deep sliding basket can be adjusted at one-inch intervals putting within easy reach all your kitchen gadgets and tools. The cart measures 24 x 20 x 36 high. Easy assembly with no tools required. This sleek and modern mobile workstation is certain to inspire your inner chef and will provide the extra workspace you need in your kitchen, restaurant, workshop or gardening area.